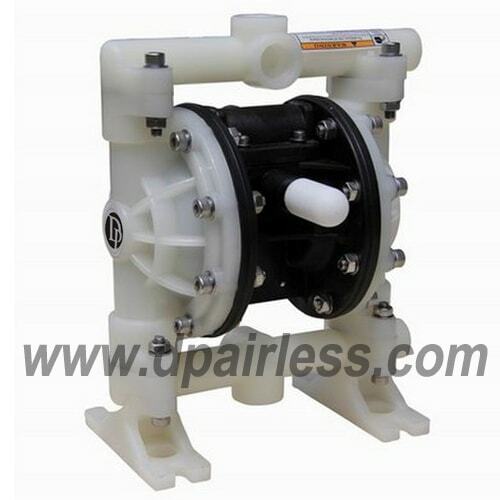 This DP-K40 Low pressure double-membrane pump has two diaphragms, the compressed air come to the pump body to drive the pump in the constant action of sucking and releasing, so it can pump the fluid easily by the principle. 1. New fluid transferring pump with high capacity, light weight and compact size. 2. High quality PTFE membrane in 142mm large diameter, generate bigger volume output, and last longer lifetime without problem. The teflon material is imported from Japan, better quality than other suppliers. and strong capability of anti-corrosive and anti-acid/bases. 4. High precision paint pressure regulator & output regulator. attached with pressure gage.